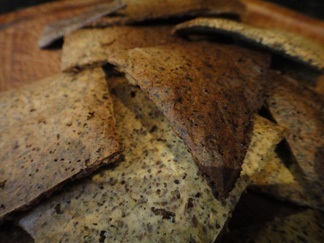 This recipe is for gluten-free and low-carb flax crackers. They are also free from lactose, so you may be wondering if there are any ingredients at all. 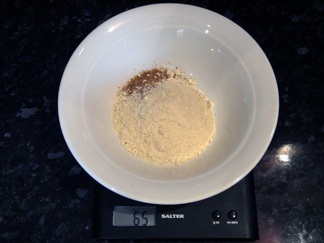 Yes: ground flax seed, ground almonds, egg, rosemary, salt, water. 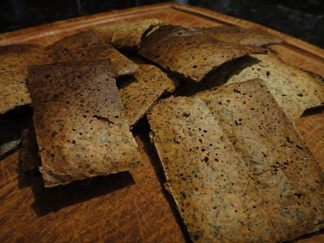 The difficulty with crackers is how to spread the dough, so read on for a solution. 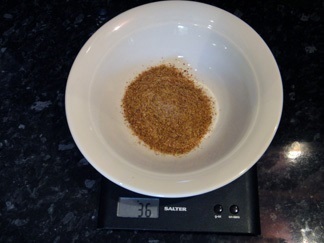 Add some ground flax seed (I was aiming for 35 grams) and some ground almonds (about 30 grams). 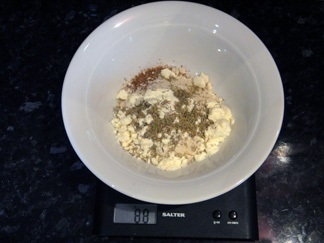 The exact amount does not really matter, I usually just eyeball the ingredients. 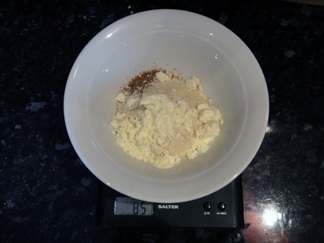 Add an egg or some protein powder (I tend to use powder because it allows for easier mixing). Add some salt and a healthy dose of rosemary. Add some water until the dough is soft and sticky and you think you will never get it flat without coating half your kitchen tools with it. 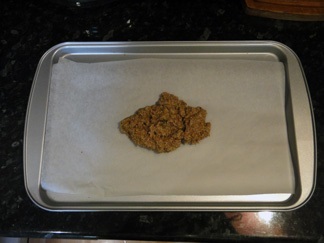 Place a piece of baking paper on a tray and add the delicious-looking cement. 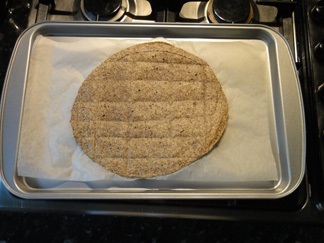 Now the trick is to place a second piece of baking paper right on top of the dough. 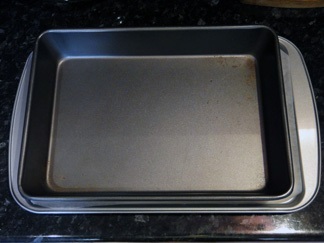 Use a smaller second tray to flatten the dough. 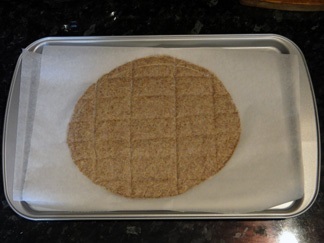 Add a few grooves for easier breaking into pieces, unless you like irregular shapes for your crackers. 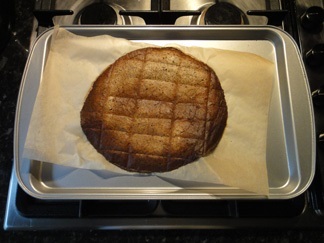 Do not remove the upper baking paper yet. 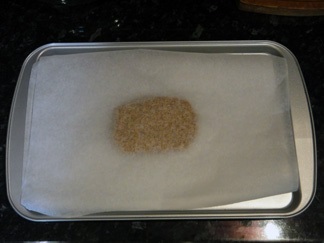 Put it in the oven for about 5 minutes at about 175°C (the hotter the better), then remove the baking paper. Remove from oven and smash into pieces. 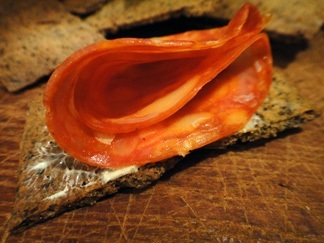 Enjoy with cheese (of course) or chorizo if lactose-intolerant.